$25,000 Cute Kid Photo Contest! Enter, get votes and win! 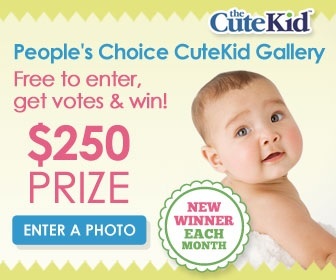 Enter for your chance to win $250 in the Cute Kids Photo Contest! Upload a photo of your cute kid and you could win the monthly grand prize of $250. There are FIVE winners every month! No joke! FIVE WINNERS each month. Plus, if your kid is chosen as the cutest kid of 2016, you’ll win $25,000! Yep! That’s right, you could win 25 grand just for submitting a photo of your kid!